Can this thread be closed?? We all seen how well it's worked for the south. Yeah but it's the South. Sorry to say. ...I'm not trashing the South, and I definitely want PJ to tour there. In fact, I support those threads! But this thread is all about Pearl Jam playing a great state that they have not been to since '06 (and that was as an opener) and haven't been a headliner in since '03. PLAY MINNESOTA PEARL JAM IN 2012! Well said. There is room on this here board for both threads. I know 'cuz I support both! Afternoon bump! Play Minnesota Pearl Jam! Gophers and Sioux hockey this weekend! I'll be there both nights - LET'S GO GOPHERS! Longest and best rivalry in college hockey...should be a great weekend! PJ could play Grand Forks at the Ralph on a Friday night, and head down 94E to play St. Paul the next night...and that's just another reason why Pearl Jam should play Minnesota in 2012! 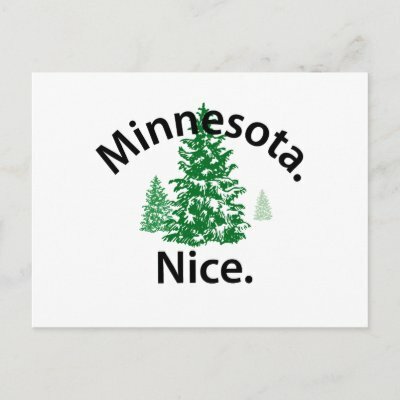 Never been..... Minnesota, why not! If you can get to KC, its I-35W north right into town. Literally...you could take I-35 from Minneapolis to Houston. Minneapolis/St. Paul is a great area, especially during summer. We're generally pretty nice, active people who somehow make it through the winters! Cmon PJ, we haven't voted republican in a presidential election since the 70's! Good Saturday Morning to Y'all. Pearl Jam...You should come back to MN soon! If they play Minnesota in 2012, all you Winnipegians will have to come down here for the show! I had a great time at the Winnipeg show in September! I'm from Toronto but if i had the money i would be in Minnesota for a PJ show anyday!! It was great seeing them in MO and I'm sure you'll have a great time if you come up to the TC. Gophers sweep the Sioux! Wild beat St. Lous! Great weekend of hockey for Minnesota! Minnesota hockey...that means we've got great venues, we're hearty kids, and we can get wild and rowdy at shows. Just another reason for Pearl Jam to play Minnesota in 2012! I will make the drive down from Thunder Bay! Please play Minnesota in 2012! Minnesota misses you PJ! Come Back! I'll help out with another BUMP! Those of us down here in Iowa would be happy to make the short trek north for a show (even though the loss my Hawkeyes suffered at the hands of those pesky little Gophers is still stinging pretty bad...). PLEASE PLAY THE TWIN CITIES IN 2012! Good deal! And how about a Des Moines show too! Twin Cities and Des Moines works for me, I would definitely hit both! terry ryan has to be a pearl jam fan, right? Haha...is it too early to say that dumping Bill Smith for Terry Ryan is another reason for Pearl Jam to come here??? Come on Pearl Jam! Play Minnesota in 2012! I heard they planned on playing Minnesota in June 2012 but had to cancel due to Stone's lingering "general soreness". Stone has been skufflin' through the South America tour and isn't sure how he'll "fill" for a North America tour this summer. This would be the ideal situation for me...add in KC and I would hit the trifecta!